Andrew Ware joined PolyMet Mining in 2013. As chief geologist, he is responsible for ore body definition, reporting and exploration activities. Andrew focuses on progressing exploration and advancing the NorthMet Project through permitting and into production. With more than 25 years of mining industry expertise, Andrew has worked on mineral exploration projects globally including in Australia, Papua New Guinea, Peru, Chile, Mexico and the U.S. 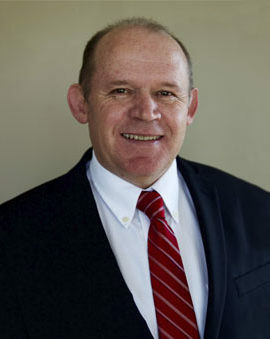 Prior to joining PolyMet, he worked for Rio Tinto’s Eagle and Tamarack Ni-Cu projects, holding numerous positions including acting project director, exploration manager and site operations manager. He has worked in the ore body definition and optimization field for more than 15 years. Andrew graduated with his Bachelor of Science degree in applied geology from the University of New South Wales in Sydney, Australia.